As an accounting professional, you do so much more than just number crunching; you create a financial strategy, give strategic advice, comply with the latest tax regulations, take actions to save money for the client, boost revenue in their business, and the list has just started. But, accounting is a constantly evolving industry and has so many subcategories, so you cannot thrive by limiting yourself to the stagnated accounting skills. To grow, innovate, and become an exceptional accounting professional, you need to learn and develop your skills continuously. Blogs offer a great way of learning. They are regularly updated, offer a variety of opinions and written by experts of a particular niche. In a short amount of time, you can consume more information, research more data, and gain insights of an expert. With blogs, information is just a click away on your smartphone or desktop, that makes it a preferred choice of learning. Research suggests that 77% of Internet users read blogs to find information and learn. You might be wondering that with a humongous number of accounting blogs and resources available online, how can I find high-quality, in-depth and useful content. How can I make up my mind about what to read? 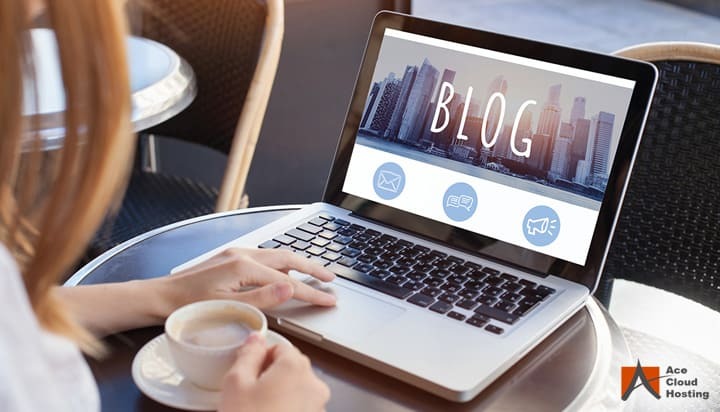 To make sure you don’t face this dispiriting experience, we have put together a list of best accounting blogs you should be reading. These blogs will keep your accounting skills up to date and grow your knowledge in a continually evolving accounting industry. Accounting Today is one of the most famous accounting news, trade magazine and informative blog on the Internet. It is one of the best resources for public accountants and professionals who offer tax preparation, bookkeeping, and financial services to individuals, small business, and SMBs. AICPA (American Institute of CPAs) Insights is undoubtedly among the most well-known accounting blog. It features posts from AICPA staff, accounting experts, thought leaders on a variety of topics such as CPA practices, Tax, Cybersecurity, Personal Financial Planning, and Technology. AccountingWEB is one of the leading online communities for CPAs and accountants, offering insights, news, and ideas from accounting industry leaders. Most of their content is focused on technology, CPA practice, and tax. If you want to stay up to speed with the state of the accounting industry, AccountingWEB is worth following. Previously known as Sleeter Group, Accountex Report is one of the best sources on accounting technology and QuickBooks software. If you want to learn about how technologies, such as cloud, can help you transform your business accounting, this is the blog for you. Available in both, digital and print versions, CPA Practice Advisor is one of the most popular technology and practice management resource for accounting and tax professionals. From payroll, tax, and accounting to firm management, it covers a lot of topics and features different software reviews. Powered by AICPA, The Journal of Accountancy publish timely articles on a variety of topics such as practice management, technology, tax, financial reporting, and management accounting. They also feature columns from industry experts and thought leaders. JofA is available in both print and online version. Powered by Intuit, Firm of the Future is your must-read blog if you are looking for expert advice and become an innovative firm of future. This blog is a great way to help you discover new ways to your accounting practice and become a strategic and technology advisor to your clients. You can explore various categories such as QuickBooks, Networking, Technology, Client Relationship, etc. Guess what! You’re already familiar with Ace Cloud Hosting blog, as you’re reading it right now. For those who are not aware of Ace Cloud Hosting blog, we typically publish six-eight articles per month on how-tos, best practices, research, etc. 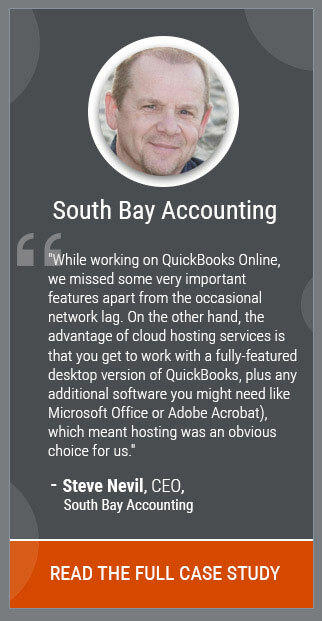 on Accounting, Cloud Computing, Small Business, QuickBooks and many more. Ace Cloud Hosting is the premier source of information and advice on accounting and cloud technology to help your business. Created by Rick Telberg, CPA Trendlines is one of the best sources of information, research, and analysis in tax, accounting, and finance community. The latest reports and research data provides intelligence to find various challenges, their solutions and find new opportunities for your accounting business. Here you can find content on technology, leadership, tax season, and accounting trends. The Accounting Onion is a blog unlike any other on our list as Tom Selling, an expert, CPA, and consultant, themed it as ‘peeling away financial reporting issues one layer at a time’. This blog provides insight into current trends in accounting, auditing, and financial analysis. Are you looking for accounting to learn for free? Whether your a student, an accountant, or small business, Accounting Coach is your place. Launched in 2003, it contains explanations, quizzes, puzzles, Q&A, videos on various accounting, bookkeeping, managerial and financial topics. 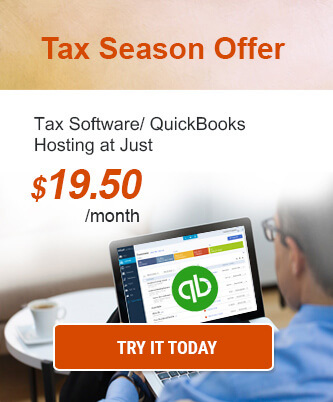 Most people know Insightful Accountant as the key information source on Intuit QuickBooks, Xero, and Sage. As an independent news and information source, Insightful Accountants is written to help QuickBooks ProAdvisors, CPAs, and Bookkeepers on latest accounting technology updates. Could MACPA be the best-looking accounting and CPA blog? Quite Possibly. But apart from the good-looking website, MACPA is an excellent resource for CPAs and accountants covering everything – business strategy, financial planning, accounting & auditing, taxation, technology & social media, to ethics and professional issues. Most people know of Kelly Phillips as the ‘Tax Girl’. Kelly is a well-known tax attorney and Forbes writer, helping businesses and tax professionals by educating and writing on tax-related security and technology issues and tax policies. AFWA is another well-known information blog on career strategies, professional development, accounting, and finance tips, focused on promoting the professional growth of women in all facets of accounting and finance. Did we miss any blog you think should be on the list? Please share your favorite accounting blogs in the comment section. Thank you Deepanshu. Great post you have shared. Here you have shared a good piece of information. Thank you again. This is what just I was looking for. Thank you for sharing this great information with us. I hope you will share some more detail about. Awesome Post Deepanshu, Thanks a lot for sharing this list with us. Thank you for such thought provoking views on accountancy. This really gives a broad understanding about how one should approach this sector and bring qualitative results. Thank you so much for giving us such a great knowledge about accounting. Content explained are very clearly.It is very useful. I am Michael from Wiseman Accountants. This is really great post. I appriciae your efforts. Thank You for sharing this blog. I hope this blog are very useful for everyone. Thank You once again for sharing your experience with us….. Thanks, Mr. Gahlaut for your article. Great article with valuable information and you’re well strategic planar for your client. I think about your advice, and I realize that your opinion how much crucial for any professional Accountant. Your pointwise elaboration is more helpful for me. At last, I want to give you thanks again for your excellent writing. Thanks for sharing this great information with us. I love to read accounting blog. We are also providing services related to Bookkeeping, Tax planning, and much more. Thanks for this post. content explained are very neetly.